Every day you’re on the lookout for sophisticated attacks designed to penetrate your organization and steal valuable information. At the same time, you need to increase network speeds and capacities to accommodate the proliferation of consumer-grade applications and devices. To adequately defend against threats across such a broad range of applications and devices — without slowing down your network — you need a high performance next generation/edge firewall (NGFW) appliance for deep inspection, visibility and control. 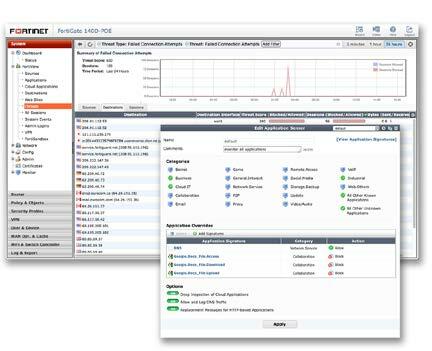 The FortiGate 1500D and 1500D-DC high performance next generation/edge firewalls deliver best-in-class performance with an exceptional 80 Gbps of firewall and 11 Gbps of next generation threat protection. Custom hardware, including the latest FortiASIC™ NP6 processors, and the consolidated security features of the FortiOS™ 5 network security platform make the difference in enabling protection of your applications and network without affecting availability or performance. High speed connectivity is essential for network security segmentation at the core of data networks. 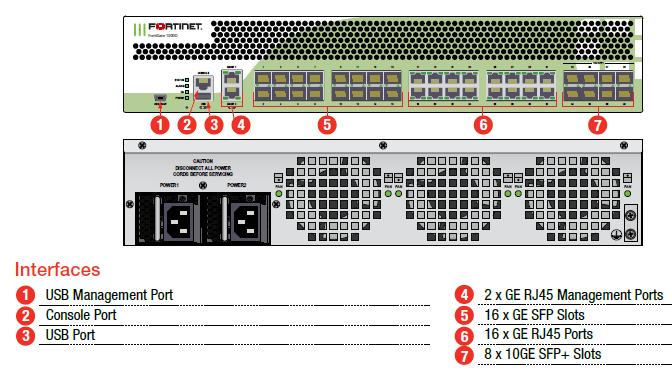 The FortiGate 1500D and FG-1500D-DC provide high 10 GE port densities, simplifying network designs without relying on additional devices to bridge desired connectivity. Download the Fortinet FortiGate 1500D Series Datasheet (PDF).